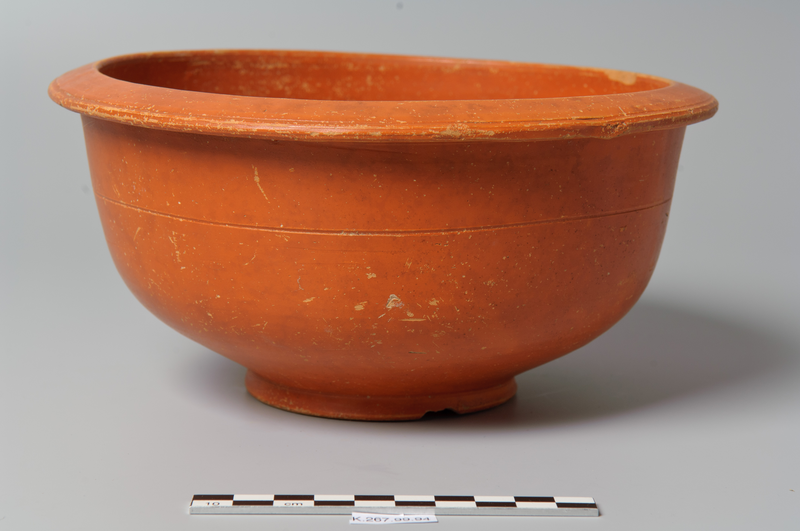 Although the study of tablewares has a long history in the Roman East, research has been hindered by the relatively few, and only very recent, interdisciplinary research projects that study and publish their tableware in depth. But in the last decades, advanced provenancing techniques, combined with efforts to study tableware en masse have been employed, resulting in a better understanding of tableware in the east. Distribution patterns for the major wares found in the East during the Late Hellenistic and Early Imperial period (e.g. Eastern Sigillata A, B, C, D; Italian terra sigillata) were successfully mapped by Philip Bes by compiling published data into a single database of the ICRATES (Inventory of Crafts and Trade in the Roman East) project (Bes and Poblome 2008). Yet many questions remain on the relationship between production and consumption of these wares and on the role more local products played, both of which are not helped by the relative paucity of well-studied closed archaeological contexts. This article addresses some of these issues through study of the tableware data for Asia Minor. As a first step, the data from Sagalassos, a city located in Pisidia (south-west Asia Minor) are discussed. The incorporation of Asia Minor into the Roman Republic and later Empire was accompanied by civic turmoil and increased Roman intervention. Sagalassos, for example, started to produce tableware at a time when Roman colonies were being founded in the region of Pisidia. At the same time, the period of the first century BCE to second century CE saw increased urbanisation in the region, while concurrently the 'Greek' culture seems to have continued. At Sagalassos, substantial production facilities for tableware (Sagalassos Red Slip Ware or SRSW) are archaeologically attested and the excavations have yielded a vast amount of ceramics. As a production site, with few numbers of SRSW being attested elsewhere at present, the next logical step is to compare Sagalassos with consumption patterns of tableware at cities elsewhere in Asia Minor (Ephesos, Assos, and Tarsos). These represent sites both in proximity to and at some distance from producers of tableware. Therefore these represent a good test bed for the consumption of tableware, both in quantity and quality (i.e. what shapes were commonly used). Diachronic data distribution methods are applied to the data from Sagalassos (50,000+ vessels) and the ICRATES dataset (c. 4800 vessels for Late Hellenistic-Imperial Asia Minor), both to observe quantitative diachronic changes and also to define the sequences of vessel forms and 'fashions'. The results represent the consumption patterns and sensibilities of usage and fashions of tableware, which must be set against a background of the societal, cultural and political changes in Asia Minor. This open access publication was funded by the Arts and Humanities Research Council.